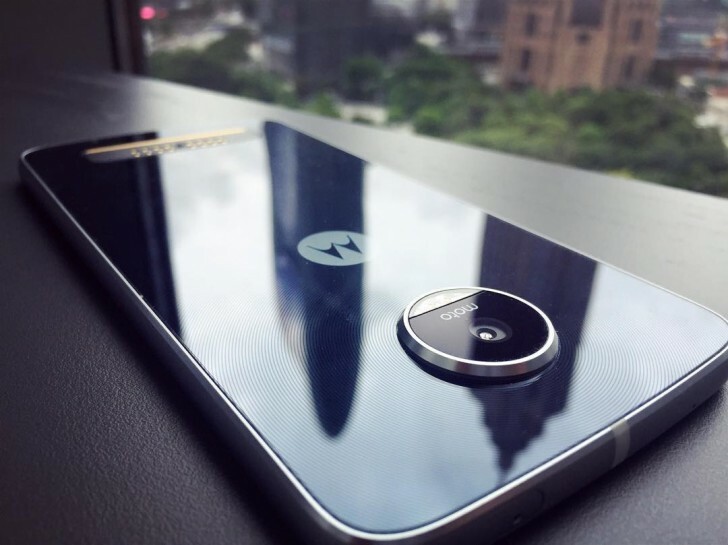 More than two months after it's made the Moto Z and Moto Z Force official, Lenovo still hasn't announced the third member of the family - the Moto Z Play. That, however, doesn't mean the Play model hasn't been in the news a lot, it's just done so through leaks and rumors. So maybe it's high time for it to be fully revealed. Anyway, today we have a new batch of leaked images, following in the footsteps of those from a couple of weeks ago. This time around we see the upcoming model in the wild, in two color versions no less. What's very clear here is that the design of the Moto Z and Moto Z Force is being replicated almost entirely. 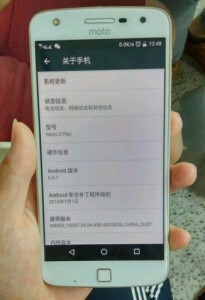 There seems to be just one different detail in the case of the Z Play - namely that its back appears to be made out of glass, and not metal like for the flagship models. Of course, on the inside it's another story altogether, for while the Moto Z Play keeps the 5.5-inch screen size its siblings have, otherwise it's going to be a mid-range offering to complement the high-end Z and Z Force in Motorola's portfolio. 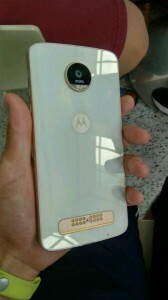 The Moto Z Play has so far been revealed to come with 1080p resolution, the Qualcomm Snapdragon 625 chipset, 3GB of RAM, 64GB of storage, a 16 MP rear camera, a 5 MP front-facing unit, and a 3,510 mAh battery. 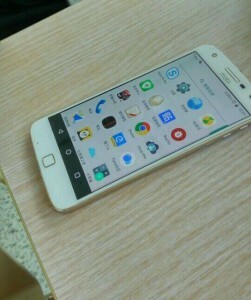 It should run Android 6.0.1 Marshmallow and be compatible with MotoMods. Yes, dude, I've seen them. Dude, they're not for my taste (too boxy design and the flat back doesn't feel nice to hold) and glass isn't the most durable material for a back cover, so no thank you still. Dude. Glass on the back? No thanks, never.